The benefits of embracing food safety standards appear obvious. 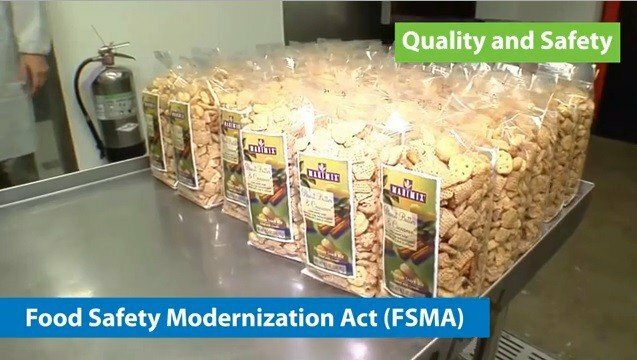 The Food Safety Modernization Act(FSMA) regulates the nation’s food safety system by shifting the focus from responding to foodborne illness to preventing it. The benefit of Food Safety Modernization Act is to cut back foodborne sickness and fatalities.The FSMA is enacted in response to dramatic changes in the global food system by preventing the foodborne illness significantly.The main aim of FSMA is to regularize food safety ensuring public health and economic well-being of food system.The FSMA grants FDA(Food Development Authority) to undertake guidance documents,plans ,strategies and standards. Recognizing and ensuring the safety of food supply the FSMA rules are specifically designed to make clear specific actions that must be taken care to prevent contamination.FSMA has given FDA authorities to regulate the way foods are grown,harvested and processed.The primary challenges that companies will face when diving into FSMA is knowing the law and the rules which will implement it.These embrace preventive controls specific necessities for foreign foods,food safety inspections and the hygienic transportation of foods.The rules that apply to food facilities will be overwhelming initially.Doing a niche analysis could be a smart plan for the company as it is a good idea because it can let an organization grasp their current standing and what future steps to require.